Josip Radosevic has signed for Hajduk: "It feels as if I never left"
Josip Radosevic is a new player of Hajduk and after four and a half years he will be wearing a white shirt again. This defensive midfielder has signed a contract with Hajduk and will join the team immediately at the start of preparation for the new season. "I'm so happy to return to Hajduk. I'm grateful that after four and a half years I will return home, to my family, which is very important to me, just like the fact that I will play for Hajduk again, which was my great wish. I had offers from some other clubs, even financially better, but I think there is no better opportunity at this moment for me than to return to Hajduk" said the 23-year old defensive midfielder after signing the contract. Josip was born on April 4, 1994, so far he has collected 33 appearances for Hajduk's first team (season 2011/12 - 9 caps, season 2012/13 - 24 caps) and as an 18-year-old, he debuted for A national team in the match against Belgium. 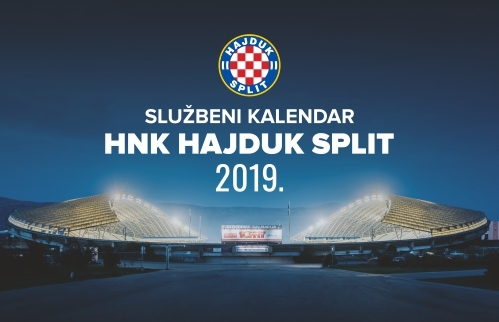 His first official match for Hajduk was on November 23, 2011, when he played the Cup match against Zagreb at Poljud, at the age of 17 years and 7 months. He played the last match in the white jersey on December 12, 2012, also in the Cup, against Zelina at Poljud. As an 18-year-old, he transferred from Hajduk to Napoli, from where he went on loan to Rijeka and Eibar in Spain. Last season, he played for the Austrian Red Bull Salzburg, where he had 28 appearances (20 in the championship, three in the cup and five in the Europa League group stage), he scored five goals and added two assists. 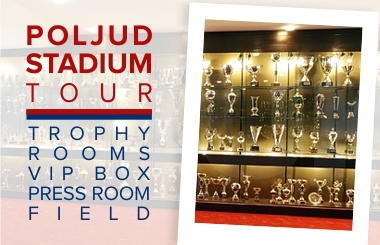 The new/old player of Hajduk Josip Radosevic has returned to Poljud. Apart from the years that have passed, many things have remained as they were before, the same number remained on his jersey (14), his kindness and positivity has not changed as well as his emotions for Hajduk, where he was a Youth Academy player and then started his senior career. "It is a special feeling to be back because I spent ten wonderful years here. I left the Club five years ago, but now I feel like I've been here all the time. Some things have definitely changed in the Club, I see a lot of new things but my feelings remained the same. I believe this is one step further in my life, both private and professional, and that everything will be ok" said Radosevic. He has 10 more days of rest before the start of the first team's summer preparation. "I look forward to the preparations, getting to know the team and the coach. 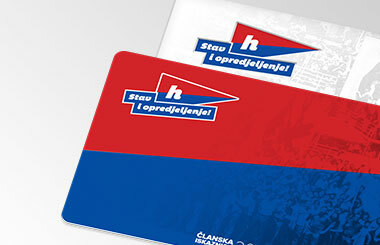 I believe we will do everything in the best way and that Hajduk's game will improve in many segments. I already know most of younger players and many of the older and I can't wait to get together with the team and start training".